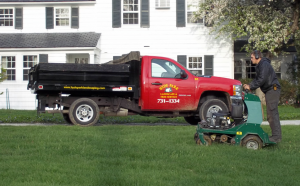 Hyde Park Landscape & Tree Service was founded in 1972 mainly as a grass cutting service located in the heart of the Cincinnati area. In 1985, Michael Shumrick acquired ownership of Hyde Park Landscape & Tree Service with a fresh look and a new philosophy about what a landscape company should be. He realized that landscaping is not just a service, but one of the safest and most rewarding investments a homeowner can do. Personal interest, quality, affordability, and customer satisfaction has been at the forefront and has lead us to where we are today. We look forward to taking on any and all projects that come our way, so please don't hesitate to reach out to us with any ideas or questions.